[We're going into the blogging archives today. Sorry for the lack of new posts. It's been one of those days/weeks/months. Happy Hump Day]. 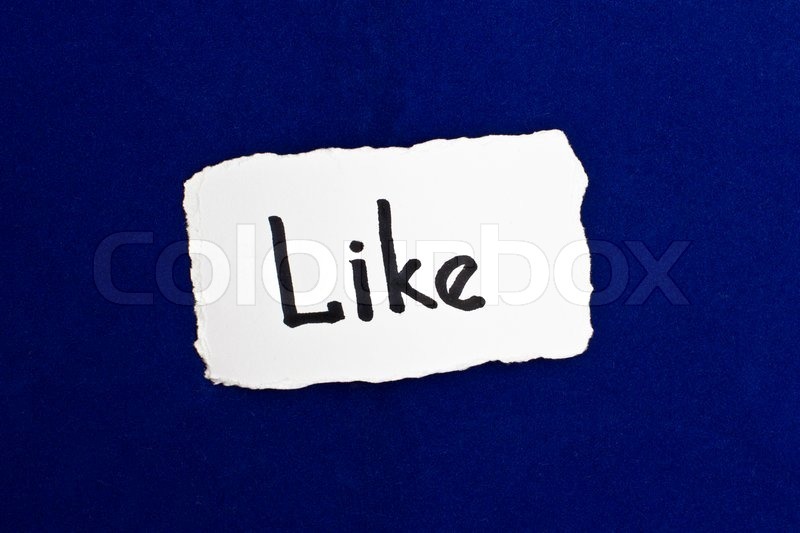 Like - For such a small word you’ve suddenly become an unbelievably powerful four letter vernacular destroyer. Yes, I have a bone to pick with you, you little verbal troublemaker. Okay, perhaps not with you exactly as your intentions have always been pure - it doesn’t seem fair to pick on a --- anyway. So I shall direct my ire where it belongs, at the human race – cause humans are such easy targets. Once upon a time, ‘like’ used to be a sweet little introduction to a simile. Can’t you just remember English class when you were trying to grasp the difference between a simile and a metaphor: like, As. Like, As. “Her bosom was like a big fluffy bowl of pillows.” Okay, a totally horrendous simile, but you get the point. Not to be undone by other four letter words, like also could be used as a noun, verb, adverb, adjective, preposition, conjunction, interjection and particle….and if you’re not tired enough by that sentence, I think I’ve left a few usages out. And then a funny thing happened; the word like was swallowed by the zeitgeist in the most hideous of ways. It became this all-pervasive insidious filler in everyday language; a filler of uber annoyance that peppered the mouths of teens like a bad orthodontist. Every other word spilling out of these young people’s mouths was separated by the word like. “She was, like, soooo cool. Like you know, like, he was like, yeah, I’d love to go, so, like, um, like, wicked. Like you know.” Ahhhhhhhhhhhhhhhhh make the four letter bad man stop. And to make matters worse, like any good infection worth its salt, it spread through the age groups, leaving no one but the diehard wordsmiths immune to its charm. [I’m actually eavesdropping on the two women next to me and I’m trying to count the ‘likes;’ It’s…like…damn near impossible]. At first it was just America where this rash bastardization took place. I think we can go ahead and blame a small pocket in an area called the Valley in Southern California. People talked in a melodious sing song way (and I’m being polite with this description) and like was thrown around with other language gems like: wicked, you know, and my other favorite (not), totally. And in short, where there used to be a pause, there was now ‘like.’ Then thanks to TV or international travel, I’m not sure which, I started to hear it abroad as well. My once civilized and well spoken English friends were dropping the word like, like a bad habit (see that proper usage of simile, did you catch that?). Here is the thing for those of you wanting to rid yourself of an awful habit – yes, I’m trying to shame you into it. The word like sounds really awful in conversation unless used properly. In fact, I’ve heard it can lower your IQ [by like] 50 points. Secondly, we have become a culture where things are no longer what they actually are. They are now ‘like’ something. I shall give you an example to hammer this home. “She was like, so cool.” “He was like, so tall.” Um, NO. He was not like so anything. He was in fact, just tall. Oh hell, if you’re that bored, you could throw in a really, or an egregiously/freakishly/exceptionally etc., and really freak out your friends with your flair for adjectives. So I plead with society as a whole, let’s stop the epidemic and return ‘like’ to its proper place. We can even [like, you know – stop that!] start behaving ‘like’ humans who are actually in command of our language. Come on, I know we can do it. And besides, think of how left out ‘as’ feels at this point. Do it for the two letter words of the world! Do it for your country, your children. Do it for the poor little four letter word like that is used, abused and downright exhausted.